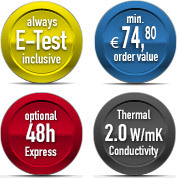 1-48 layers from 1WD Express, from €29,80. Online calculation and order of your Printed Circuit Boards. 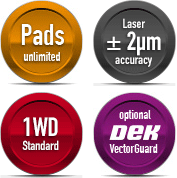 Unlimited pads, tolerance ± 2µm from €9,90. 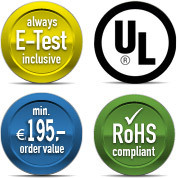 Any voltage or power rating from €30,00. Online quotation and order of your custom Toroidal Transformers. Multi Circuit Boards is a leading European supplier of high-tech low-cost PCB / multilayer boards with up to 48 layers, from 1WD production time. 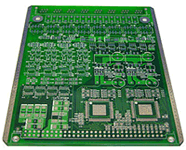 Multi Circuit Boards supplies business customers with PCB prototypes and series. 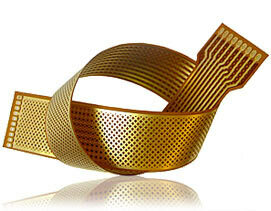 For tightest space conditions or more bending cycles we also offer Rigid-Flex PCBs. The product range is supplemented by laser cut SMD-Stencils for the assembly with SMD components and custom toroidal transformers with variable powers and voltages. Find layout tips and all design parameters in our comprehensive Design-Aid. All products supplied by Multi-CB comply with the new EU Directive 2015/863 - RoHS (3), which will enter into force on July 22nd 2019. Optional: SS black, Express, .. 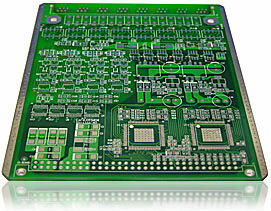 In addition to printed circuits, we also produce multilayer boards, which are indispensable for modern HDI layouts. These are suitable for all designs with high packing density. Whether you need multilayer PCBs with 4, 8, 12 or up to 48 layers, we are ready as an experienced producer. Just contact us: our experienced specialists will be happy to advise you! Take advantage of our PCB Design-Aid, including the topic of conductor / ampacity. 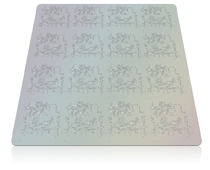 For the assembly of your printed circuit boards, lasered SMD-Stencils are the best means to guarantee a high degree of accuracy. With our Online Calculator you have the possibility to compile the stencil for your PCB with just a few clicks. The desired design (for example, quick clamping frame system or DEK VectorGuard) can be selected here as well as a pad reduction and existing fiducials. 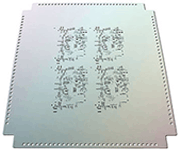 When you have made all the entries, your SMD-Stencil price is calculated. 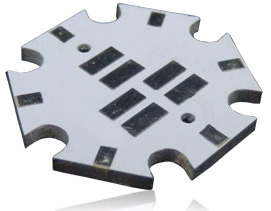 We do the production - with laser technology, a favorable price and to your full satisfaction!New: 1-Click SMD-Stencil. Our product portfolio is completed by custom toroidal transformers, which we develop and manufacture according to your specifications and requirements. We produce transformers for arbitrary voltages, whereby of course each transformer from our house complies with the currently valid EU standard EN 61558. As a material, we use only high-quality steel, where you can choose between an "open style" and "centre potted" and "fully encapsulated". Request a quote from us or place an order directly - we look forward to working for you!